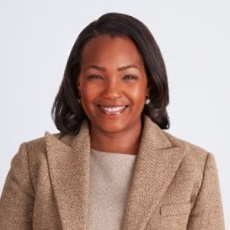 Yanique Woodall is Director, Brand Communications at The Home Depot. In this role, she leads the product innovation and social impact communications, which plays a key role in The Home Depot’s messaging strategy to support the organization’s product innovation and technology goals. Leading an internal team of professionals, as well as agency partners, she contributes to The Home Depot’s growth and innovation efforts by leading the storytelling and digital media strategies. In addition, Yanique is responsible for the proactive earned media strategy for The Home Depot Foundation, defining the company’s thought-leadership program regarding sustainability and leading all aspects of The Home Depot’s branded merchandise, including direct management of an e-commerce website and headquarters retail location. Prior to joining The Home Depot in 2017, Yanique was Vice President, Enterprise Public Relations at 1-800-FLOWERS.COM. In this role, she led the organization’s public relations division and external agencies in strategic integration of consumer, business and trade communications programs to support 1-800-FLOWERS.COM and its subsidiaries. In addition, she was responsible for the company’s global reputation management strategy as well as serving as the senior communications advisor on the Leadership Team. Yanique joined 1-800-FLOWERS.COM as director of public relations, consumer floral brand in 2006. In this position, she directed the public relations department in strategic integration of public relations programs for the consumer floral brand to support business gift services, marketing and new business initiatives. Previously, she worked for Avon Products, Inc., and was responsible for the marketing and communications for the company’s flagship and first retail venture in New York City. Yanique was also senior manager, corporate communications group at Fujifilm, USA, Inc. Since 2003, Yanique has been an Adjunct Assistant Professor in Hofstra University’s School of Communi¬cations. In addition, she holds an Adjunct Faculty position with George Washington University. She has earned a bachelor’s degree in communications/mass media studies from Hofstra University and a master’s degree in corporate and public communications from Seton Hall University. Woodall has been recognized as Long Island Business News Top 50 Most Influential Women (2009) and PR Week Top 40 Under 40 (2012). Also, she has published several public relations industry articles in publications, including PRSA’s Public Relations Tactics Magazine and PR Week. The PRSA Foundation is an independent, 501 (c) (3) charitable organization that is committed to promoting diversity among public relations professionals and companies so that they can best serve the public good and address the needs of a diverse world.